Quality is ubiquitous in healthcare, but it’s also an important theme in our professional and personal lives. At the 2017 Home Care and Hospice Conference and Expo, we’ll explore what quality looks like in patient care, our workplaces and at home. Here’s a closer look at what you can expect. When the quality of care provided is sub-par or goes against evidenced-based best practices, patients may suffer. This may also drive up healthcare costs and could result in penalties from CMS for non-adherence to its Conditions of Participation (CoPs) for Medicare and Medicaid patients. If you want to learn how to improve healthcare delivery across the care continuum, choose from nearly 20 informative education sessions on quality assurance topics.  There’s also a special, add-on preconference about the new CoPs for home health and a related keynote speech by Laura Adams, CEO of the Rhode Island Quality Institute. One’s work environment plays a large role in their job satisfaction levels and also on mental and physical health. If your employees work in an environment that is constantly stressful or unsafe they could suffer negative consequences. Also, if you are short-staffed, that could compromise your organization’s ability to provide proper care. Learn how to attract and retain top-notch employees, and how to grow your business, by attending classes on business development, talent acquisition, and staff development. Keynote speaker Juliet Funt, owner and founder of WhiteSpace at Work, will teach you how to make the most of your work day by learning the difference between meaningless activity and true productivity. Many factors influence quality at home including our overall health and well-being, finances, and family situation. When we are happy at home we are often more relaxed and can be our best selves in all areas of our lives. Learn how to improve your quality of life from best-selling author John O’Leary. He was given a one-percent chance to live after suffering burns over his entire body when he was nine years old, and his story is sure to move you. 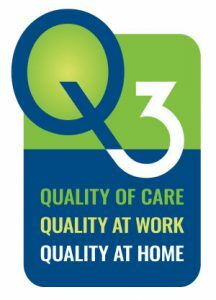 Join us in Long Beach as we explore this year’s theme, Q3: Quality of Care. Quality at Work. Quality at Home. You’ll leave empowered and inspired! How have you improved quality in your workplace? Feel free to share your insights in the comment box below. 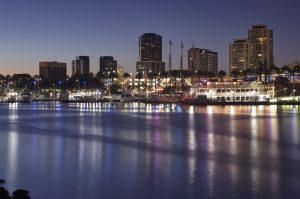 This year’s Conference and Expo in Long Beach, California, promises to be better than ever with three days of timely education sessions, inspiring keynote speakers, and plenty of time to network with your peers and home care and hospice industry experts. The theme is quality, and we’ll explore what that looks like in patient care, the places we work, and in our personal lives. You’ll leave invigorated and ready to implement new strategies as soon as you get home. The Conference officially kicks off with an opening session featuring engaging keynote speaker Laura Adams, CEO of the Rhode Island Quality Institute and member of the Rhode Island Governor’s Workgroup on Healthcare Innovation. She’ll explore Quality of Care as she challenges us to provide patient-centered, effective care to all of our home care and hospice clients. Spend the afternoon at education sessions covering hospice pre-claim review, practice management, palliative care payment models, and more. Then, attend the opening reception where you can catch up with colleagues, explore the Expo, and enjoy amazing food, before exploring Long Beach for some late night fun. 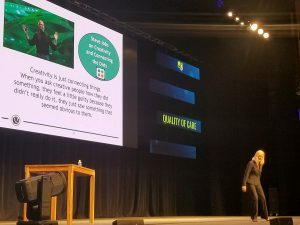 Start your day with breakfast in the Expo then settle in for an eye-opening general session featuring Juliet Funt, owner and founder of WhiteSpace at Work, who will address Quality at Work. She’ll share tools to help you unburden yourself and learn the crucial difference between meaningless activity and true productivity. Your work life will never be the same after you hear her tips. The rest of the day will be filled with education sessions covering population health management, workforce issues, compliance, pain management, and compliance, to name a few. There’s a lunch break in the Expo where you’ll have plenty of time to network with peers and visit with the nearly 200 vendors at the industry’s largest marketplace of buyers and sellers. In the evening, you’re on your own for dinner and Long Beach has an assortment of amazing dining options within walking distance from the Convention Center. This is the last day at the Conference so plan on making the most of it. Eat breakfast in the Expo, and then grab a seat for an inspirational keynote speech by best-selling author John O’Leary. He was given a one-percent chance to live after suffering burns over his entire body when he was a child. He shares his experience to teach others how to live and he will focus on how to cultivate Quality at Home. His book On Fire: The 7 Choices to Ignite a Radically Inspired Life was an instant #1 National Bestseller. It’s back to business in the afternoon, with interactive education sessions on regulation and policy, cyber security, recruitment and retention, technology and more. Have lunch in the Expo where you can learn about industry trends and the latest advancements in technology and network with peers. In the evening, join us for the closing party, A Night Under the Stars, the perfect way to end the conference. More details about this spectacular, outdoor party to come! Don’t miss out on early bird rates. Register for the Conference today!